I love the fresh scent of evergreen, especially during the holidays. 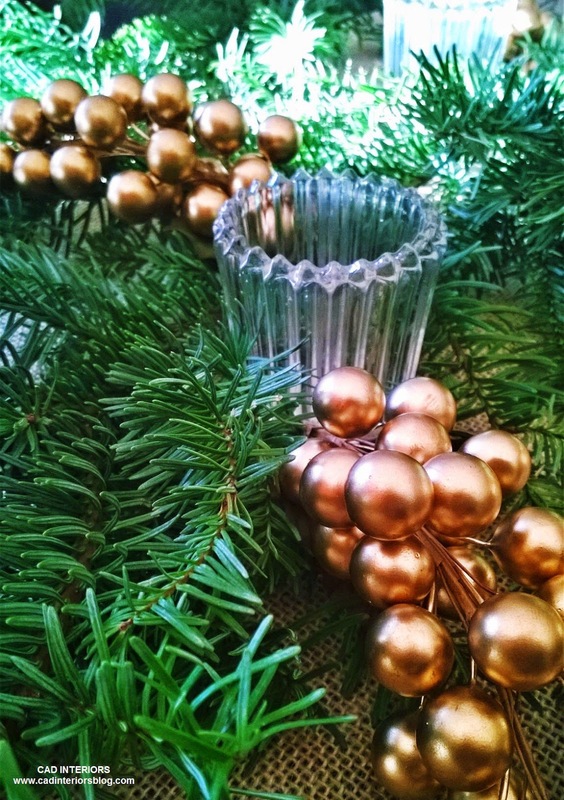 Bringing natural greenery into the home is one of my favorite decorative holiday elements! Outside of having a fresh wreath, garland, or real Christmas tree (which we buy every year), another simple and inexpensive way to bring the scent into your homes is by decorating with actual tree branches or needles. I also cut some needles right off the tree branches and sprinkled the fresh cuts into some holiday vignettes. The pine cone arrangement above was completely free and natural. I don't buy pine cones. 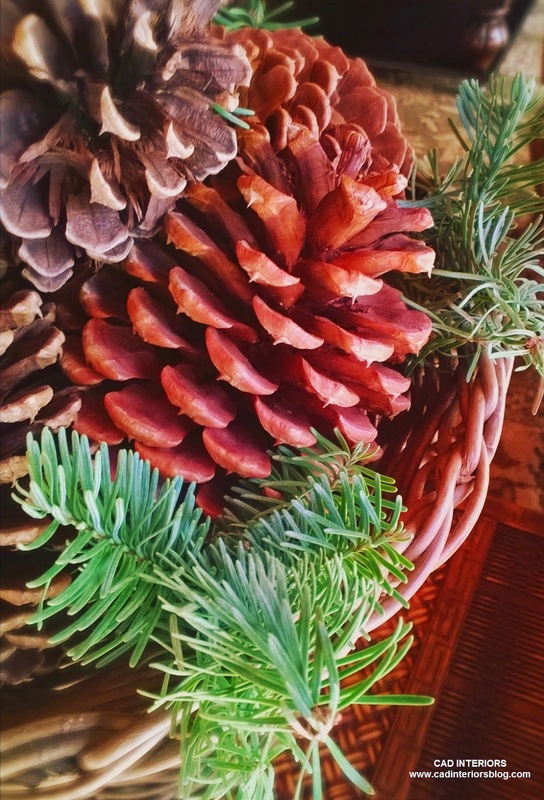 I have collected so many pine cones over the years during our mountain getaways. My stash has filled two large storage bins! 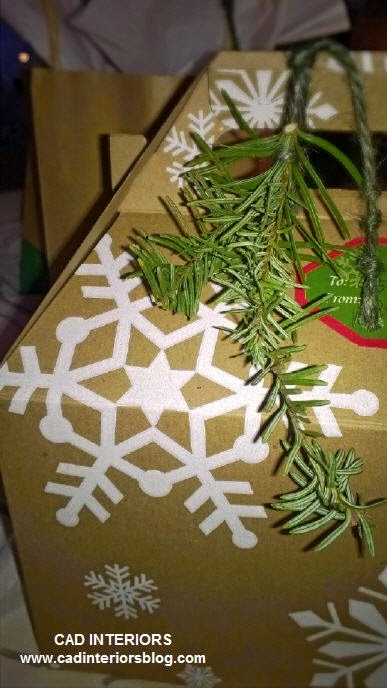 Our gift "wrapping" also got a little evergreen. 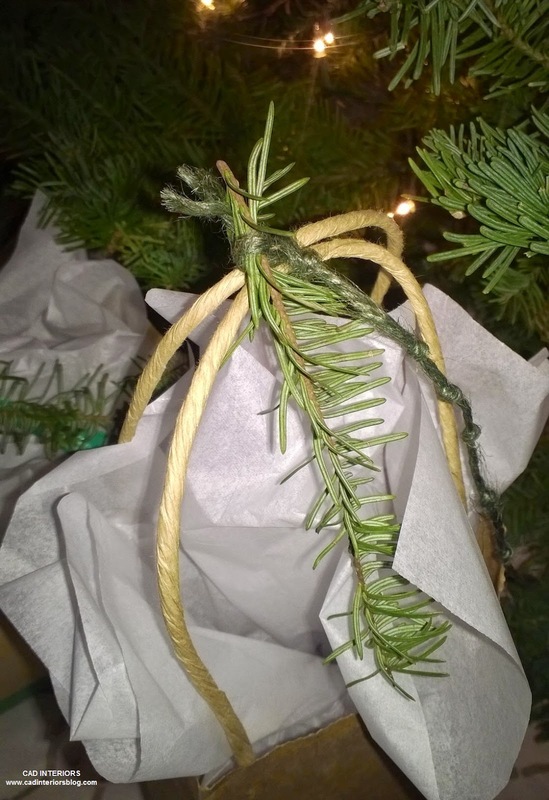 I simply tied the needles onto the gift packages with some green jute twine. I created "knots" on the loose end of the twine for simple added detail. Remember, all month long I'll be sharing my "Holiday Favorites for the Home" with you, as well as seasonal ideas and inspiration. You can also follow me at "Holidays 2014", as well as Instagram, for more inspiration. 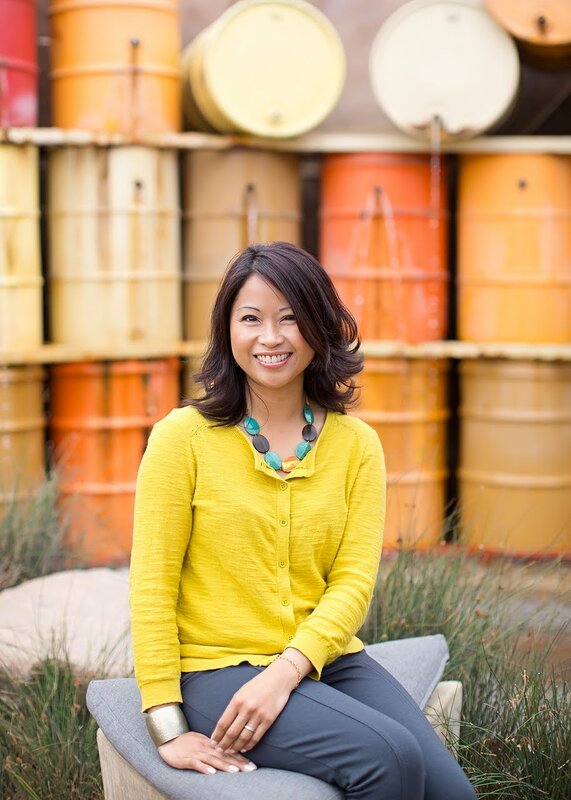 In case you missed it, click on the link for part one of my "Holiday Favorites for the Home"!